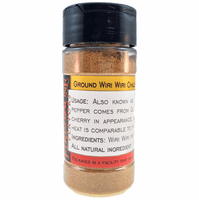 Product Details: The Cherry Bomb Pepper a.k.a. Wiri-Wiri a.k.a Capsicum Frutescens boast a heat level of 60,000 - 80,000 SHU (Scoville heat units), which rivals that of the Scotch Bonnet and Habanero. It originates from Guyana, where it's a staple in their daily diet and used in everything from hot sauce to peppered rum. 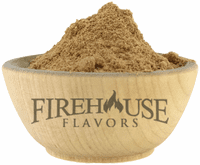 We lit to use it in salsa, chili, soup and stews or in rubs for meats and fish. 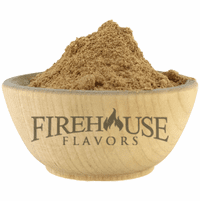 Ingredients: dried Wiri-Wiri pepper. Packaged in a facility that also handles wheat, milk, soy, egg, sesame, peanuts, and tree nuts. Shelf Life: 2+ Years when stored at room temperature or below in an air-tight container out of direct light.